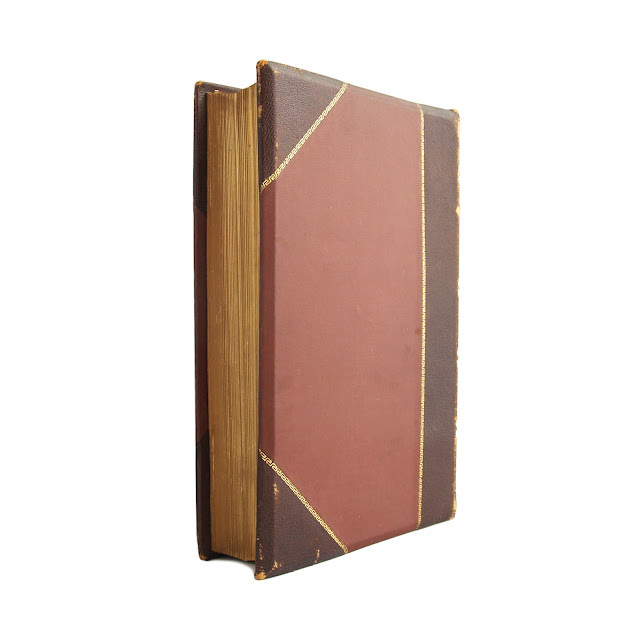 This antique hardcover book is bound in purple cloth boards with dark brown 3/4 leather, trimmed in gilt. 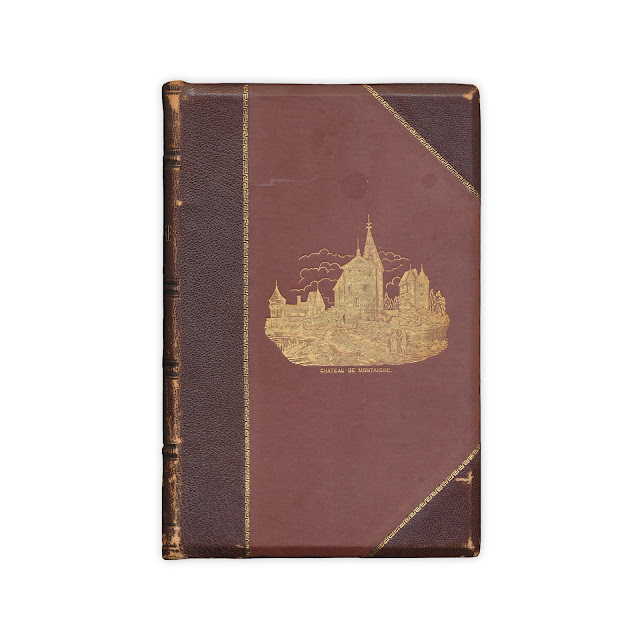 Front cover has gilt decoration showing Montaigne's chateau. Spine has gilt lettering and decorations, with four raised bands. 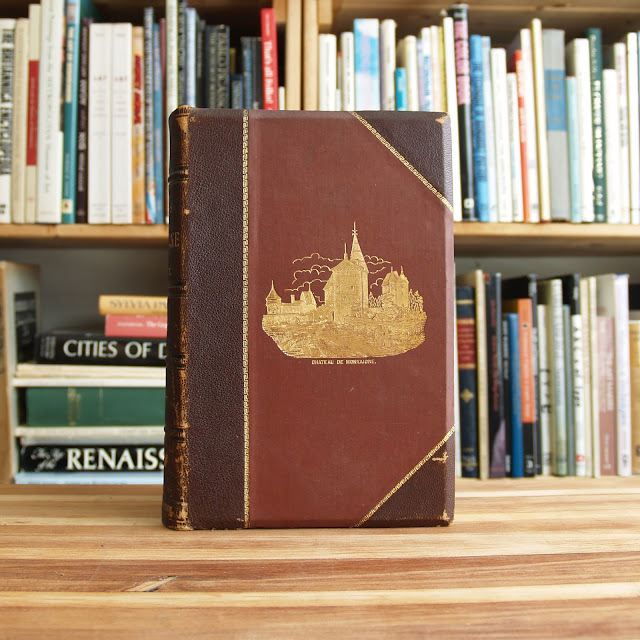 All page edges are gilt. 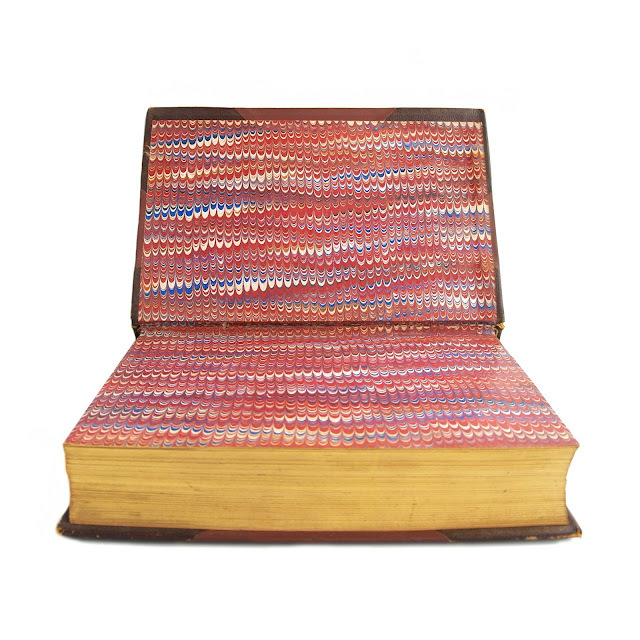 Marbled endpapers; gift inscription on second endpaper; some mild wear to spine edges, a few stray marks in the margains, overall a clean copy. 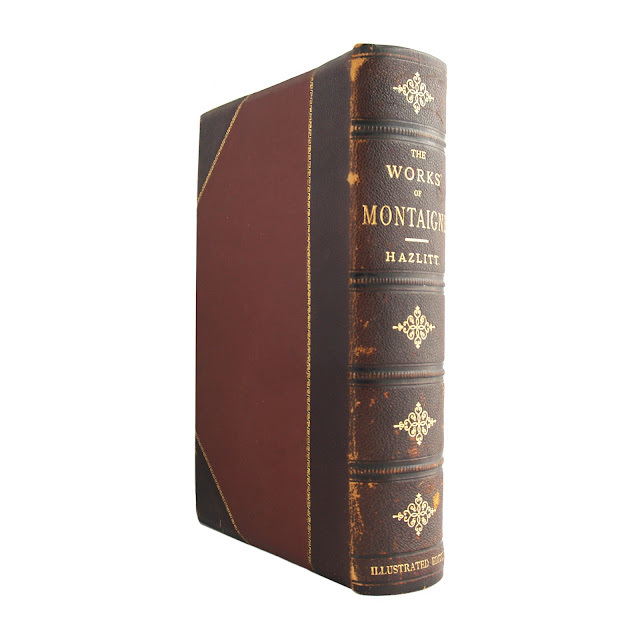 This is an illustrated edition of Hazlitt's collection of Montaigne's writings, with beautiful steel engravings throughout depicting some of the ancient philosophers who inspired him. All plates are intact, clean and crisp. 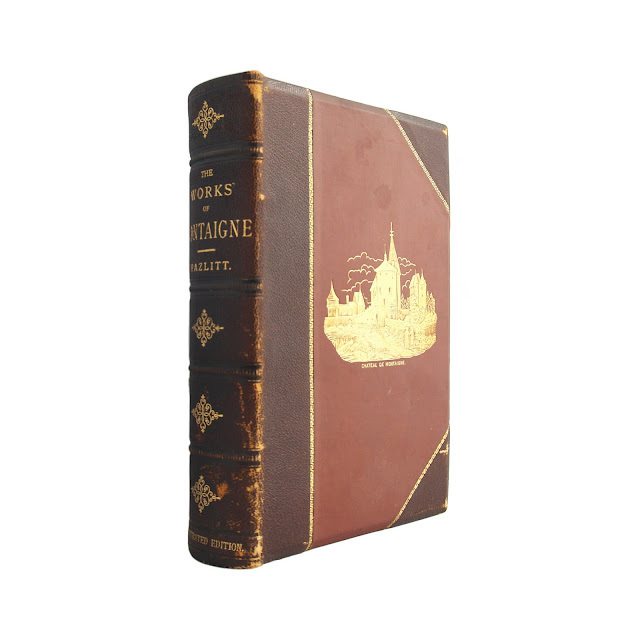 686 pages, including index; approx. 6"x9".